The most important part of a wheelchair is the rim. It determines how your wheelchair moves and also tells if you are riding comfortably or not thus you will feel with every grip you make as you enjoy the ride on your wheelchair. The Spinergy FlexRim sits between the spinergy wheel and the aluminum push rim. It is made to give you absolute comfort and make every ride fantastic. The spoke comes in amazing colors to choose from, they range from black, yellow, orange, blue, red, pink and even green. The black spokes are built on silver hubs while other spoke colors are built on black hubs; this gives it a neat, sleek look. 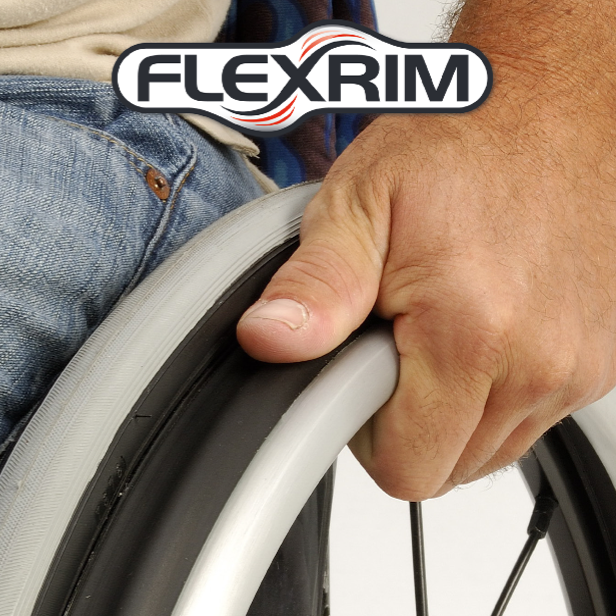 The Spinergy FlexRim Wheelchair Wheels has a weight limit of 250 lbs. The rim offers you a low impact, here is how it works, the FlexiRim is flexible hence protects your hands from impact loading. In addition, the rim gives you a firm grip; this is enhanced by the soft high friction urethane. It is lightweight, it adds less than 5oz on your wheelchair, and it will not hold you back as you ride. The rim adds power to your push, it enables you to go further with less push. The rim is safe to push, there are no gaps or metal tubs that may have your fingers get stuck in the rims. The rims give you increased access, the push rims are narrower as they squeeze inward and allow you to pass through narrow doors. Also, the rims keep your hands clean since your hands do not come into contact with the tire. The rims are costly but they are worth every dollar since they are the best wheel rims in the market today. Give your ride a new feel by getting the Spinergy FlexRim Wheels 24″/25″ from Sportaid at the best price offer in the market, the rim is easy to use it is lightweight and unlike other rims, the Spinergy Rim’s push is painless and comfortable for you.